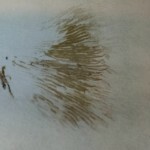 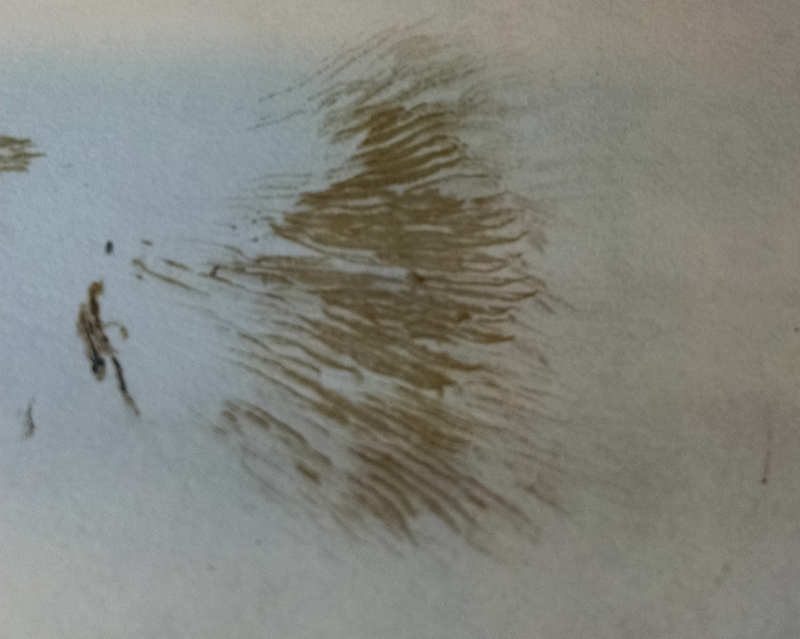 I did a spore print and the spores were brown as shown in the image below. 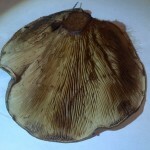 When young, the cap was rolled under a bit. 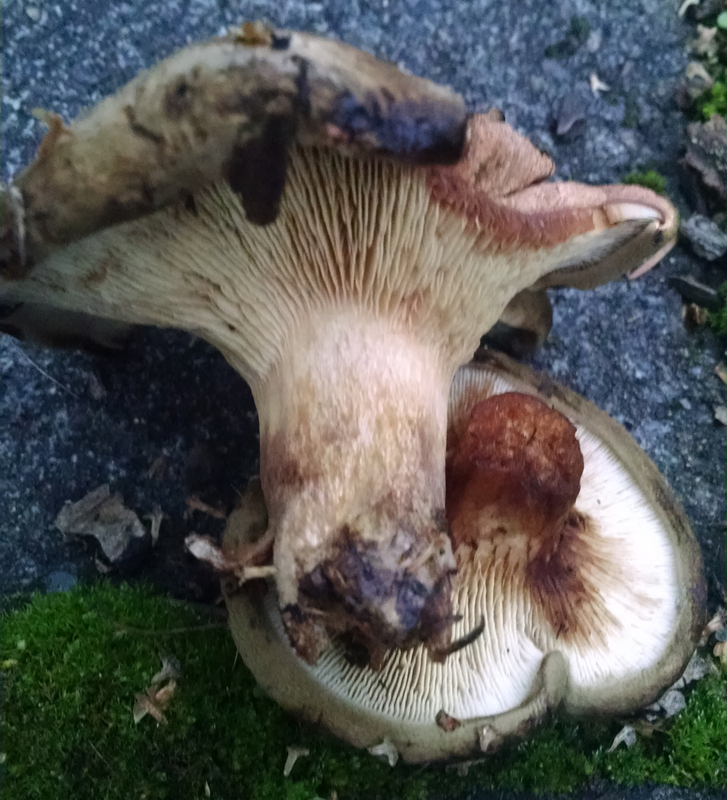 The caps were brown in color. 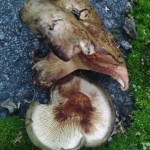 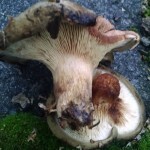 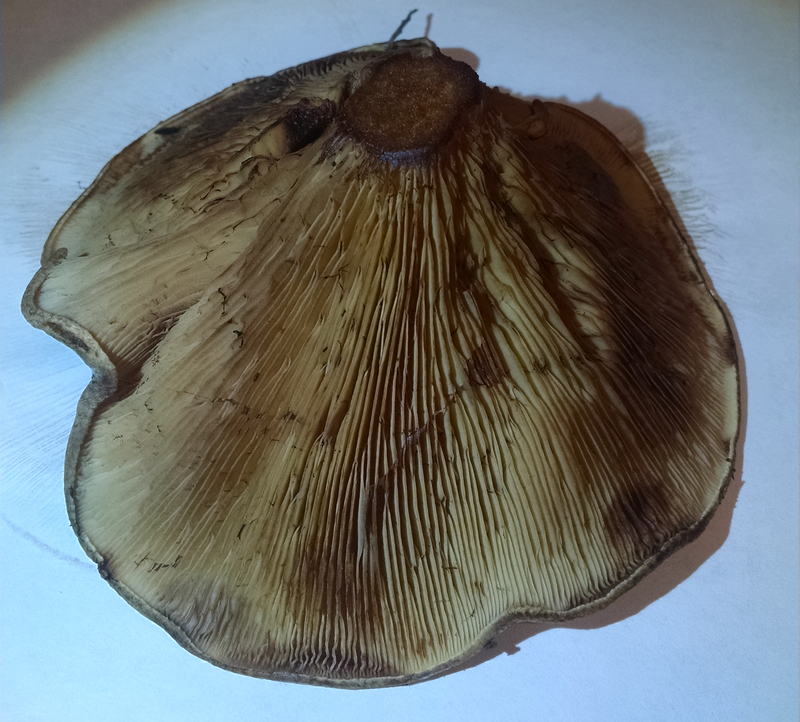 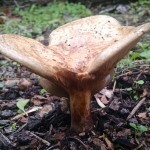 Under the cap was a light yellow tinge and it looked as though the gills went down the stalk just a bit. 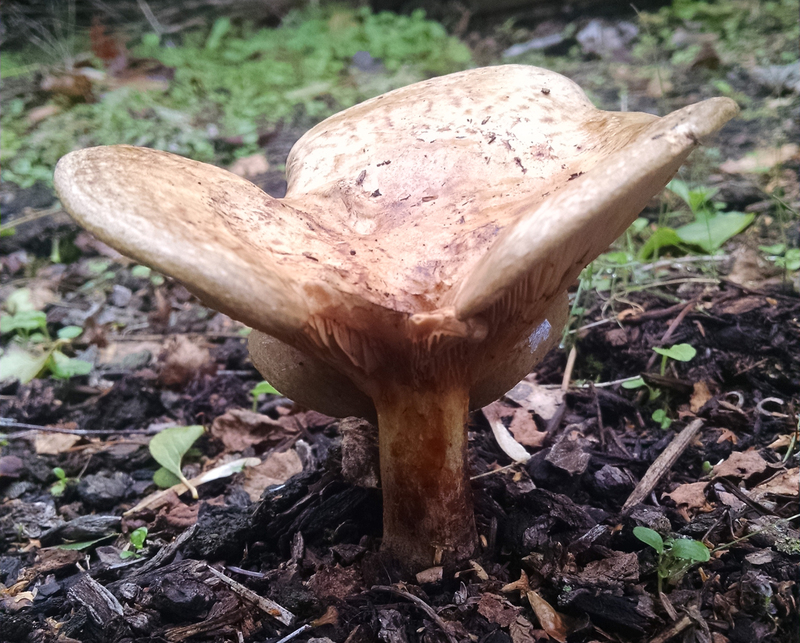 The stalk can be slightly off center. 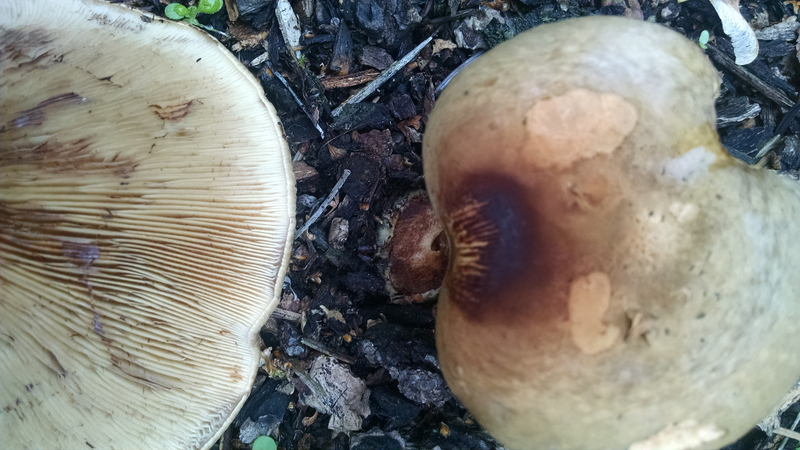 Pretty sure this is a Paxillus involutus. 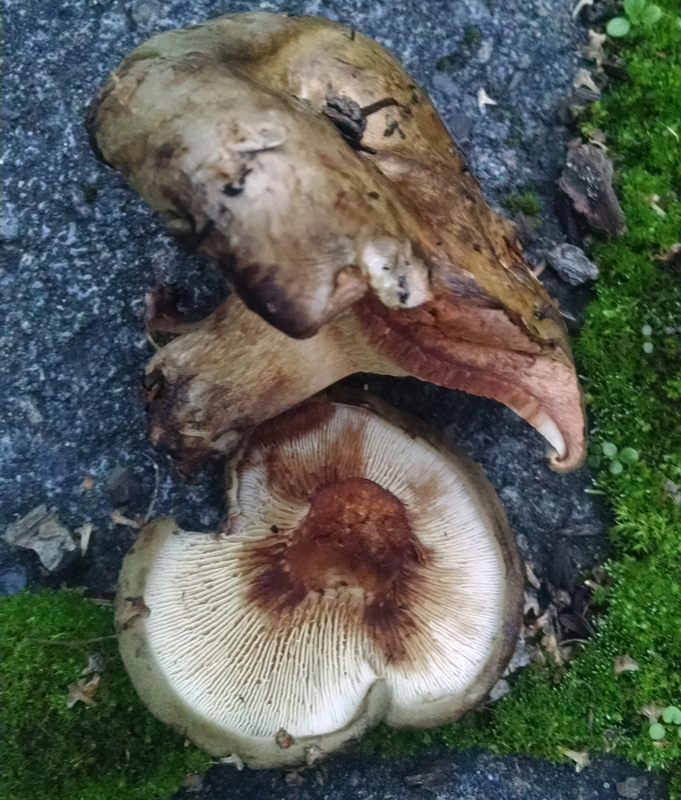 Also known by the name “Poison Pax”. 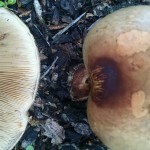 And as the name eludes – this is quite poisonous.